This two-in-one antioxidant treatment works by two different mechanisms to help improve the appearance of aging skin both inside and out. Below the surface, a 15% concentration of pure L-Ascorbic Acid helps protect against damaging UVA/UVB rays, prevent premature signs of aging, and stimulate collagen production. On the surface, a 10% concentration of Hydroxy Acids exfoliates to smooth the skin and create a more youthful appearance. C+AHA incorporates both Glycolic Acid and Lactic Acid to slough off the rough outer layer of the skin, revealing newer, youthful skin under the surface. Exfoliates, removing dry, dull surface cells to reveal the youthful skin below. Note: L-ascorbic acid will oxidize and darken with time, but will remain effective. May cause a slight tingling sensation. Aqua / Water / Eau, Ascorbic Acid, Triethanolamine, Glycolic Acid, Propylene Glycol, Glycerin, Citric Acid, Lactic Acid, Phenoxyethanol, Zinc Sulfate, Disodium Edta, Sodium Hyaluronate. Recommended by my dermatologist about 6 years ago and has saved my skin from breakouts. It has refined the texture of my combination skin and works well as an anti aging agent.AHA is just great for daily exfoliation. 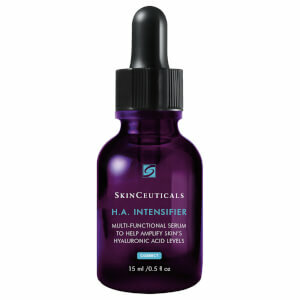 Hope SkinCeuticals does not stop this product, as it ihas been a lifesaver. Still worth the price! This is by far the best product on the market. It does tingle slightly, but this should be expected. 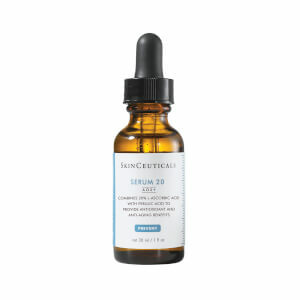 I've tried the C E Ferulic acid (same brand), but this is works much better. My skin is radiant and smooth - well worth the price. IT BURNS! Not for sensitive skin. This product is not only overpriced to begin with, it oxidizes and turns orange and sticky once opened and exposed to oxygen. This reduces the effectivness and feels unpleasant. I used twice a day on face, neck and chest and still did not get through the bottle before it went bad! There are cheaper, better alternatives available. I used this product for 6 months and will continue to do so. I noticed my skin looking more youthful and toned.